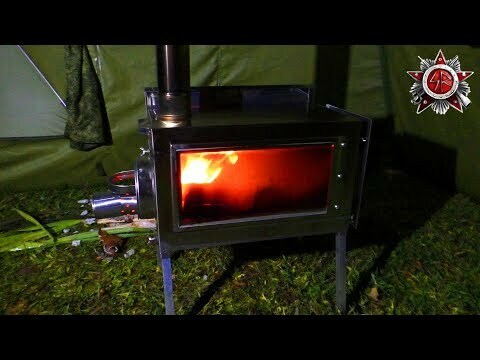 – The First Look And Test Of My New Tent Stove From “PF Bereg, Ekaterinburg”. This Is A Solid Hand Made Stainless Steel Tent Stove, Equipped With Two Heat Resistant Glass Windows. The Glass Windows Radiate More Heat Out Into The Tent, Than Just A Steel Plate.